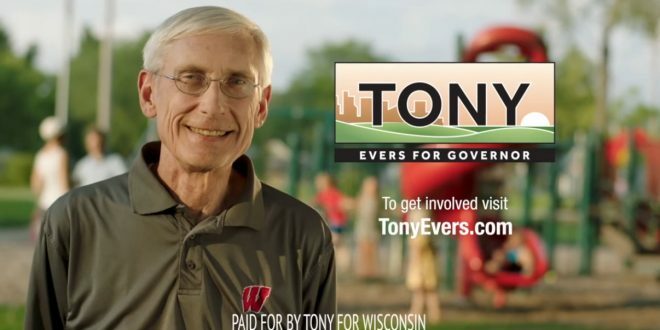 WISCONSIN: Dem Tony Evers +10 Over Scott Walker - Joe.My.God. Republican Gov. Scott Walker of Wisconsin is behind by double digits in his re-election bid, while Democratic Sen. Tammy Baldwin is comfortably ahead in hers as a near majority of likely voters say they prefer Democrats to control Congress, according to a new NBC News/Marist poll of the state. In Wisconsin’s race for governor, Democratic challenger Tony Evers gets support from 53 percent of likely voters in a head-to-head matchup, while Walker gets 43 percent. Among the larger pool of registered voters in the state, Evers’ lead is 9 points, 52 percent to 43 percent — down from his 13-point lead in July’s NBC/Marist poll.